Whitney Shroyer (or, if you prefer, DJ Dr. Filth)(he is more than happy to be billed either way, or both, or, frankly, not billed at all) has been entertaining clients and fans as a DJ in Asheville, North Carolina for over a decade. His Saturday night residency at the Admiral was a beloved local and tourist attraction in Asheville nine years. This weekend Asheville institution has moved to the Double Crown last year and continues to fill the bar on the weekend with regulars and curiosity seekers hoping to find the most exciting and unique dance party tradition in Western North Carolina. He also has a long list of satisfied wedding and event clientele. Having run a record store and been obsessed with music and vinyl for over 20 years, his knowledge of music and how people react to it is vast and authoritative. And he brings this combination of musical knowledge and DJ skills to every performance event. He loves to collaborate with his potential wedding and event clients to tailor every event so that the musical selections make it a one of a kind party attendees will remember fondly. He does extensive interviews with his clients to make sure he has a handle on what to play, when to play it, and equally importantly, what not to play. He feels a successful wedding or event is a combination of his musical knowledge and your musical tastes, and that when those combinations harmonize, the potential for an explosive party is unlocked. 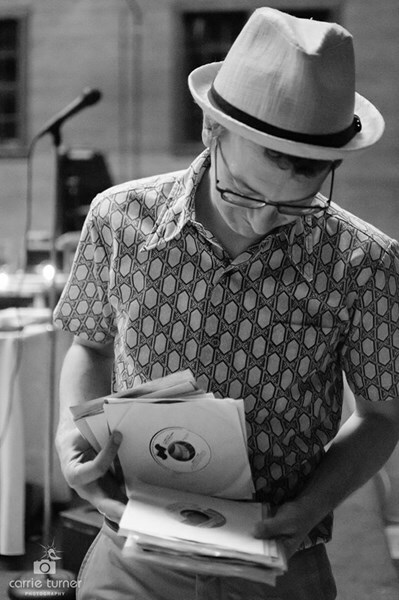 When he is playing at his residency at the Double Crown, the Doctor specializes in creating a kind of a "juke joint" atmosphere -- wild and uninhibited dance parties to rhythm and blues, soul, funk and rock and roll 45s from the 60s and 70s. But with dozens of weddings under his belt, he has honed his style for weddings and other events for maximum party potential while elevating the "taste level" past just the usual cliches. He has created a unique combination of musical intelligence and people pleasing that has satisfied the pickiest of musical enthusiast while trying to reach everyone at the event with something that will pull them onto the floor. 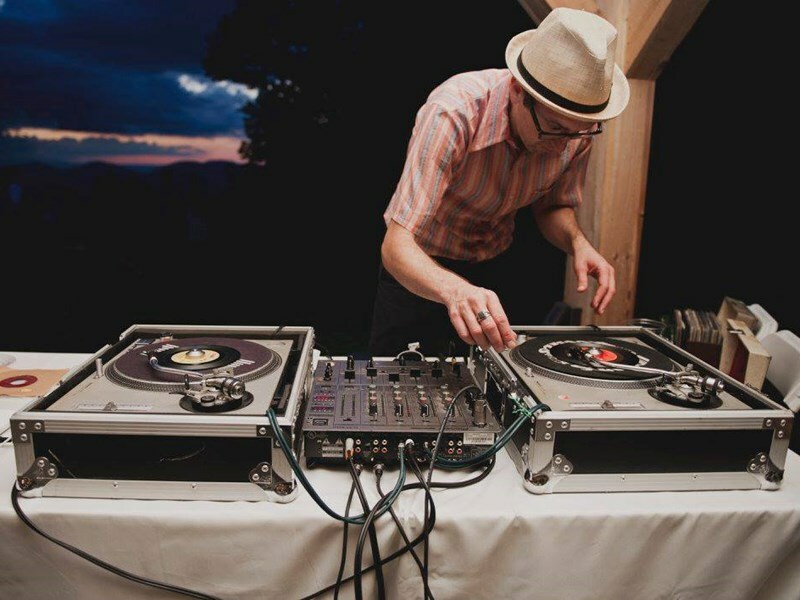 For a wedding or event scenario, Shroyer does not rely exclusively on vinyl. He brings the latest in digital DJ technology to bring more modern sounds to the party, so you and he have as many options available for making the event a success. When it comes to duties as a master of ceremony, Shroyer believes that less, generally, is more. He prefers the notion of "directing traffic" at a reception or event, rather than being a "cheerleader". Announcements are made, bridal parties are introduced, toasts are announced and what needs to be said is said, with the authority and professionalism of someone who has been a radio broadcaster for over 25 years. But he doesn't believe that the event attendees need to hear more from him than the necessary information and the music. And once the dance party starts, his positive energy and enthusiasm for making people dance is definitely felt. Shroyer is a professional who is prompt with correspondence, phone calls, client meetings, and arriving to and departing from events. He provides high quality PA gear and travels with the majority of his DJ'ing needs. Shroyer does not travel with light rigs or projection capabilities, so if you are seeking that he is not your guy. In fact, Shroyer is probably not the DJ for every event out there. If you're looking for someone to exclusively play the latest hits, or some EDM, or to focus exclusively on hip hop, he is probably not your guy. If, however, you are interested in someone who can figure out how to incorporate a playlist that includes your favorite modern dance songs with Motown, Disco, 50s and 80s, and 90s classics to really reach across the generations, he might be exactly what your event is looking for. Please note: Although Dr. Filth has a weekly residency at the Double Crown, Saturdays are generally speaking open and available for other types of performances, especially weddings. It just needs to be booked out far enough in advance to find a substitute, and the offers need to be lucrative enough to entice him away from his home base. But if the date is not blacked out with another event, please feel free to ask! 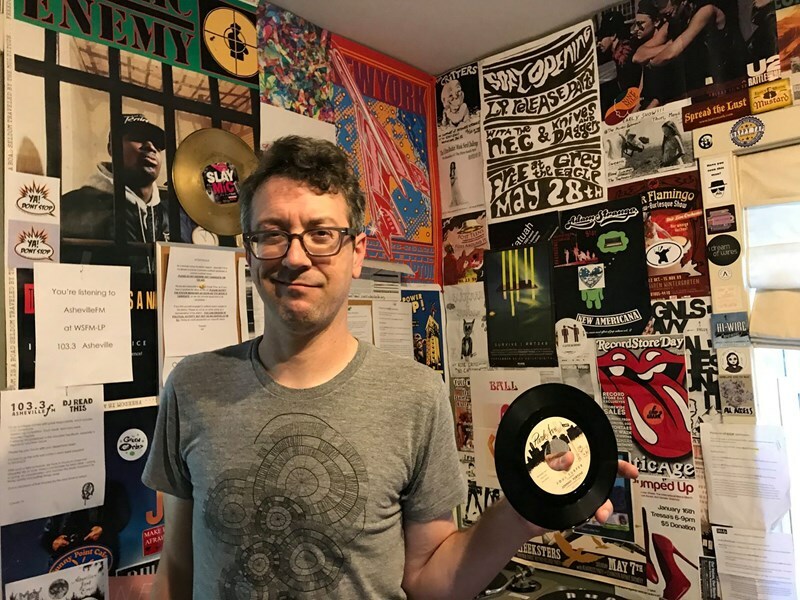 Shroyer's radio show, In the Box, which specializes in rare vinyl 45s, is on AshevilleFM 103.3 from 11 am to 1 pm, Fridays, in Asheville NC. His gigs at the Admiral were broadcast weekly on WFMU's Rock and Soul Ichiban and remain in their archives. Please note Whitney Shroyer (DJ Dr. Filth) will also travel to Edneyville, Enka, Skyland, Wilson, Flat Rock, Hendersonville, East Flat Rock, Gerton, Montreat, Naples, Saluda, Mountain Home, Ridgecrest, Bat Cave, Lake Lure, Mill Spring, Fletcher, Tryon, Dana, Chimney Rock, Fairview, Zirconia, Arden, Concord, Columbus, Chapel Hill, Etowah, Horse Shoe, Landrum, Tuxedo.